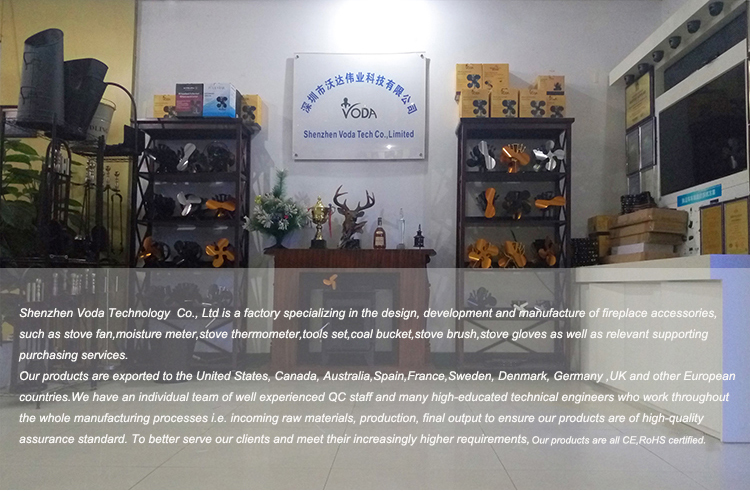 VODA is a factory specializing in the design, development, and manufacture of fireplace accessories, such as stove fan, moisture meter, stove thermometer, tools set, coal bucket, stove brush, stove gloves as well as relevant supporting purchasing services. 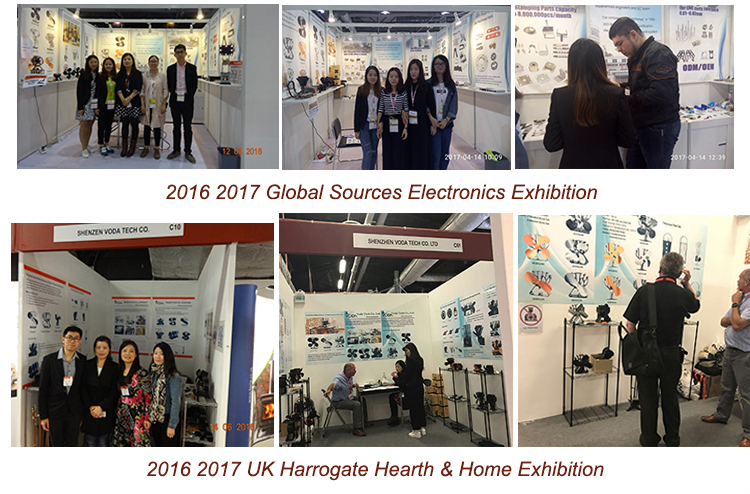 Our products are exported to the United States, Canada, Australia, Spain, France, Sweden, Denmark, Germany, UK and other European countries.We have an individual team of well experienced QC staff and many high-educated technical engineers who work throughout the whole manufacturing processes i.e. 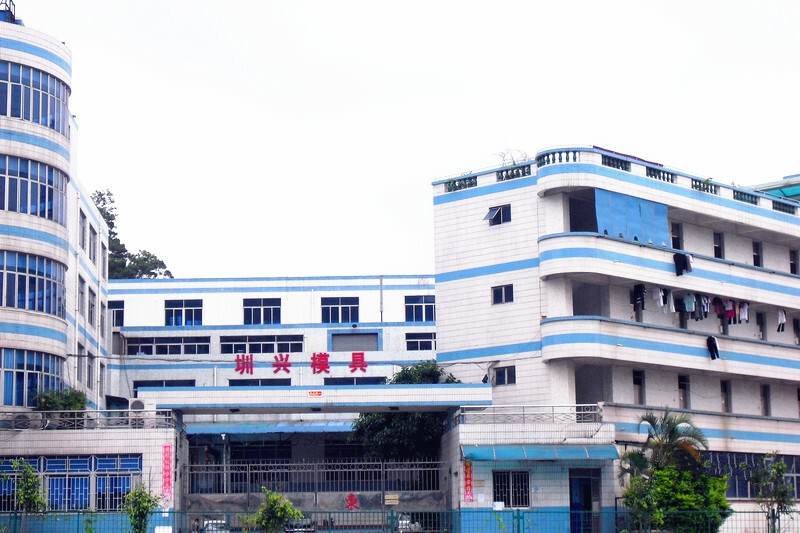 incoming raw materials, production, final output to ensure our products are of high-quality assurance standard. To better serve our clients and meet their increasingly higher requirements, we have passed the ISO9001-2008 quality control system certification. This Stove Fan has been designed with the main purpose of efficiently circulating heat, maximizing your stove’s heat output and reducing fuel consumption. The built-in thermoelectric module in the fan to generate its own electricity, which means the stove fan requires no batteries or mains electricity supply. The optimum operating temperature range 65℃~345℃, the stove’s temperature is higher, the fan running faster and in-built protection system to stop the fan overheating. The fan has no assembly required, should be placed on the top stove, as close as possible to the side of the flue pipe, and slightly behind. With the fan blades whirling, you feel the peace and relaxation when you sit around the stove with your family to enjoy the glow and warmth, far away from those busy time. here you can relax in the comfortable environment, It is deserved absolutely, not only it can warm your room, but also it can boost your family more warming. what's more, it doesn't need batteries and extra electricity.